How to live with and love your inherited art. 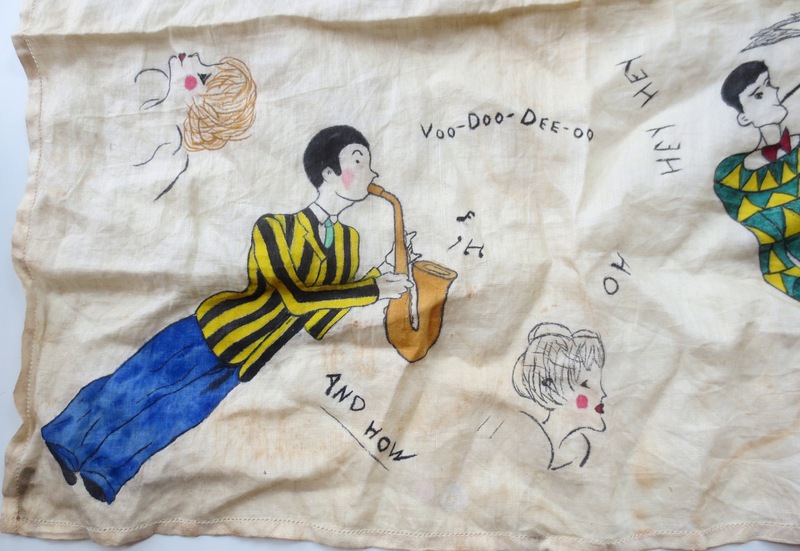 Last week, my husband stumbled upon the work of iconic outsider artist Henry Darger. Scott fretted that he had never seen any of the thousands of pages of fantastical watercolors that Darger painted in his single room apartment on the north side of Chicago. “Forget Darger,” I told him. Because our apartment (also on the north side of Chicago) is filled with the best works of MY favorite outsider artist. 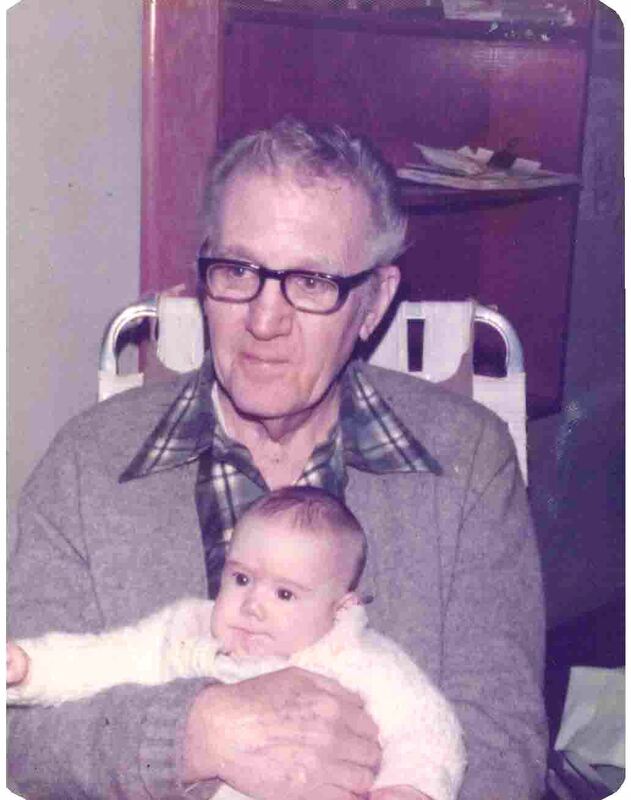 My father’s father was born in the tiny farm town of Breese, Illinois, in 1907. He moved to the north side of St. Louis just after World War I. Grandpa only finished a couple years of high school before finding employment at the Pullman Railroad Company, where he worked until his retirement in 1973. An example of Grandpa’s early work (1928). Experts are unsure why an ink drawing on a handkerchief managed to last 85 years. He married my Italian Grandma, Louise Stefanoni, in 1929, and settled down in a one-bedroom brick bungalow. They had their only child in 1938. We also shared a love of using outdoor furniture indoors. Grandpa never went to art school, or really much school at all. But he loved art, and that was all that mattered. He began drawing comics and illustrations in the 1920s, and even had a couple of them published. 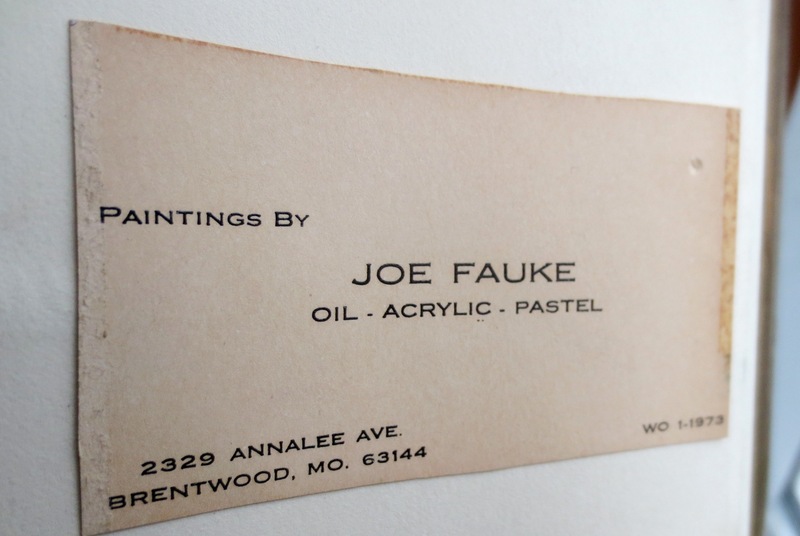 Grandpa took up painting in the 1960s. He never settled on a distinctive style, or even a favorite medium. He tried watercolors, pastels, colored pencils, and acrylics, embellished with textures of painted burlap, wood shims, and papier mache. I was born on Grandpa’s 69th birthday. We have much in common: We both love parties and cardigan sweaters and eating at Long John Silvers (I used to trade him my coleslaw for his crunchies). We both got married right before the Major Economic Disasters of our respective generations. Celebrating our 1st and 70th birthdays. If you don’t already have a Grandpa with the same birthday, I highly recommend you get one. Grandpa taught me to love art. I spent many summer afternoons on his back porch “studio” watching him paint, like my own private Bob Ross. I would enter every coloring contest (usually something about the Easter Bunny or Railroad Safety), and bring the blank pages to Grandpa. He would pull out a worn set of colored pencils and proceed with a lesson on blending, scumbling and burnishing, or how use shading to illustrate the source of light in the composition. 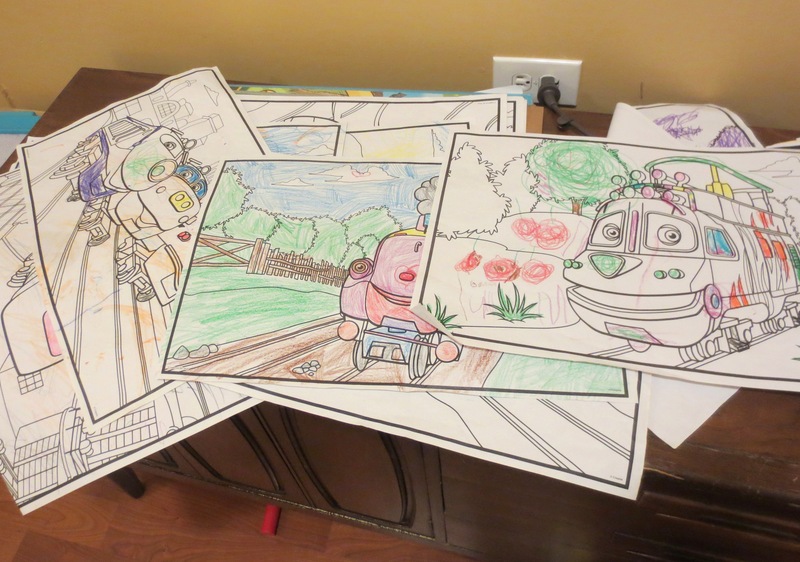 Despite the mini-art lessons – or likely because of them – I never won a single coloring contest. I’m not sure the judges believed that an actual 7-year-old had such a masterful cross-hatching technique. Untitled mixed media. 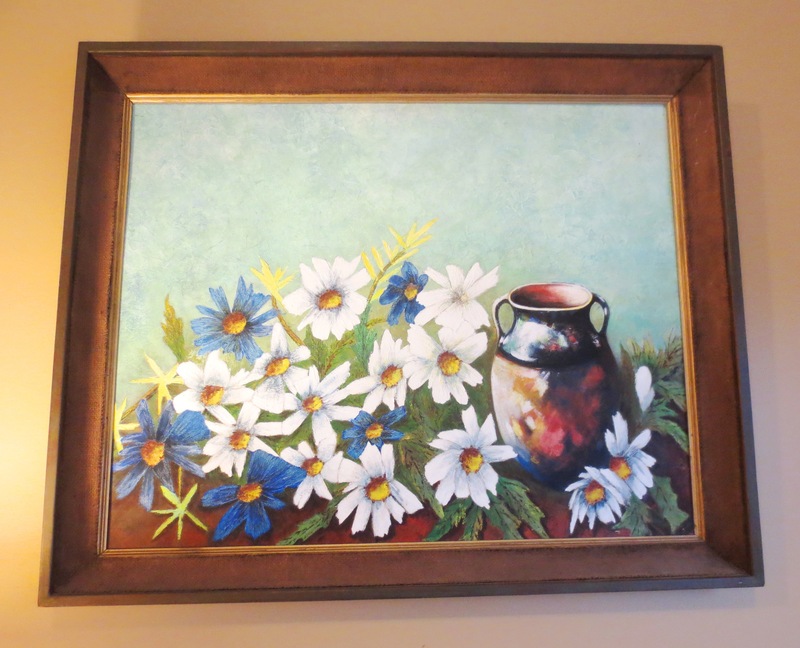 This painting was a gift to my maternal grandmother, who died in 2002. 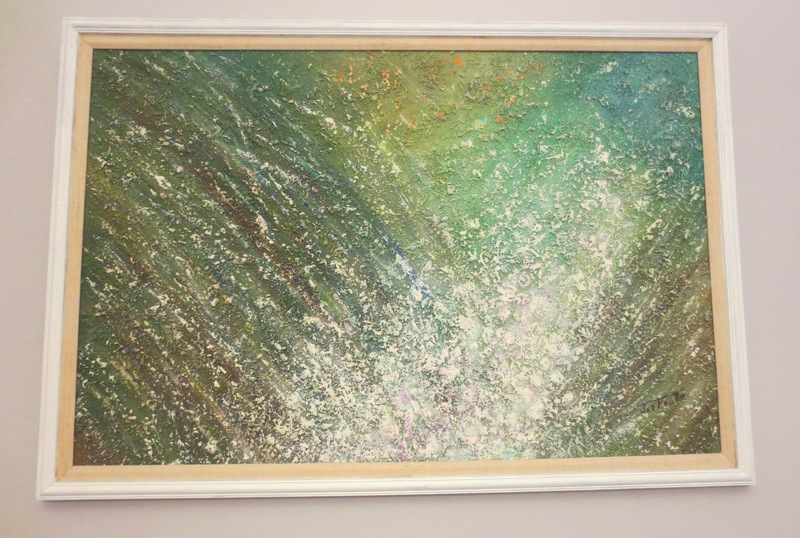 I call it “Big Splash.” I also painted the original dark wood frame a bright white. Grandpa’s Masterpiece. “Resurrection” (1968). He single-handedly launched a new genre that I’ll call “Catholic Psychedelia.” It’s hard to express how much I love this. I’m proud that my apartment houses the most exclusive collection of Grandpa’s art east of the Mississippi. 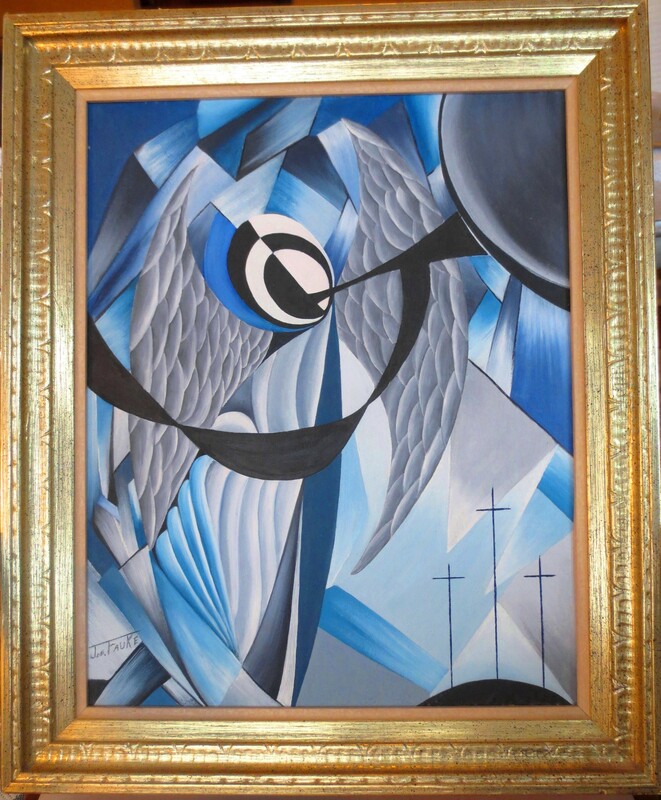 Even though he was clearly gifted, his inconsistent style and use of dark, heavy frames didn’t quite match the light, modern look I aspire for in my home. No worries; I’m a firm believer that there’s no decorating problem that can’t be solved with a little bit of white paint. Untitled Still Life hanging in my dining room, bumming out everything around it with this dark, heavy frame. 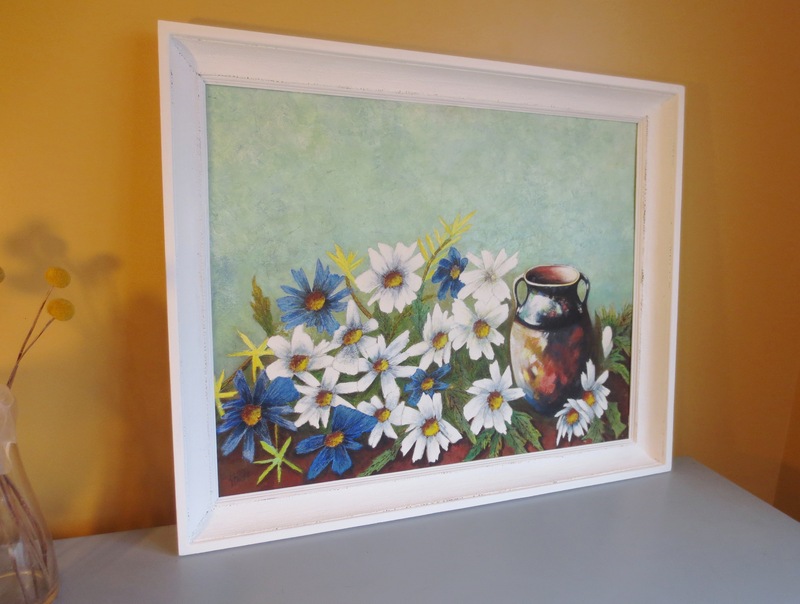 Don’t get too excited, this project simply involves painting the frame and hanging it back up. The simplest method would be to just pop the art right out of the frame, like I did with the DIY Bulletin board project. However, as you can see, Grandpa actually screwed the canvas right onto the frame, so we’ll just have to cover the art while we paint. 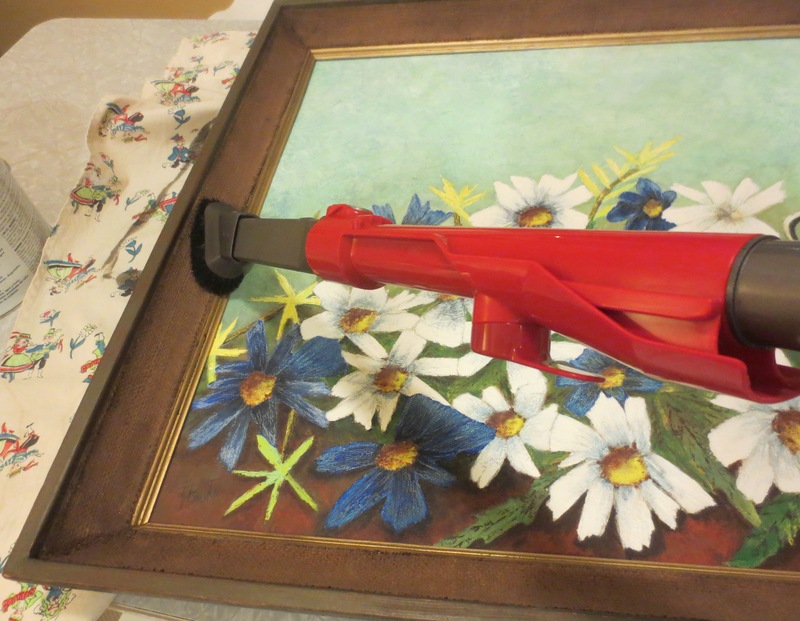 STEP 1): Vacuum the dust and dirt off of the frame using the hose attachment. I know it seems undignified to vacuum art, but I’m guessing plenty of you have used the vacuum hose to groom your pets or children. STEP 2): Since the canvas was only screwed to the frame in a few places, I was able to slide the paper underneath the frame, fully covering the art. I taped the paper together so that it wouldn’t slide away, but didn’t have to tape it to the frame or to the canvas. 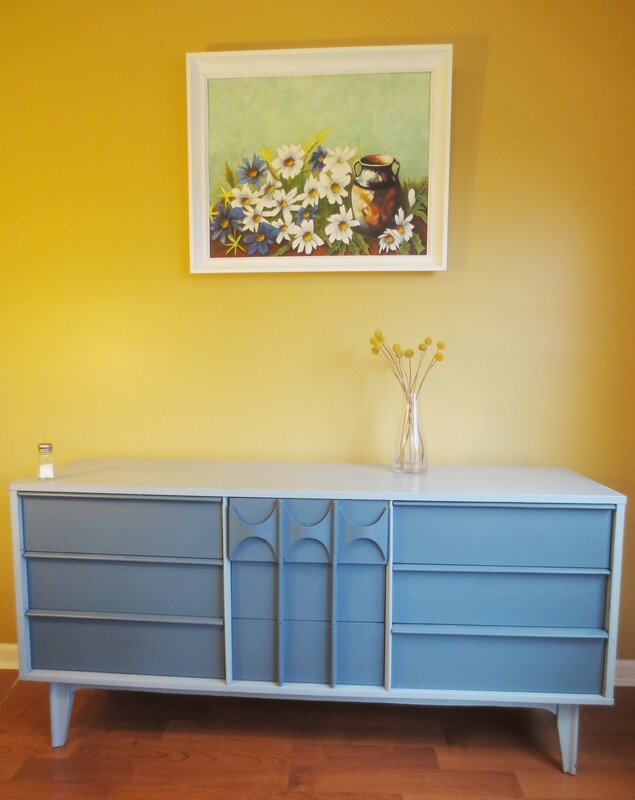 Luckily, the credenza in my dining room (AKA “Studio”) was littered with duplicate tax forms and poster-sized coloring sheets that were the perfect size for this project. Sorry kids, sometimes one generation has to sacrifice for another. 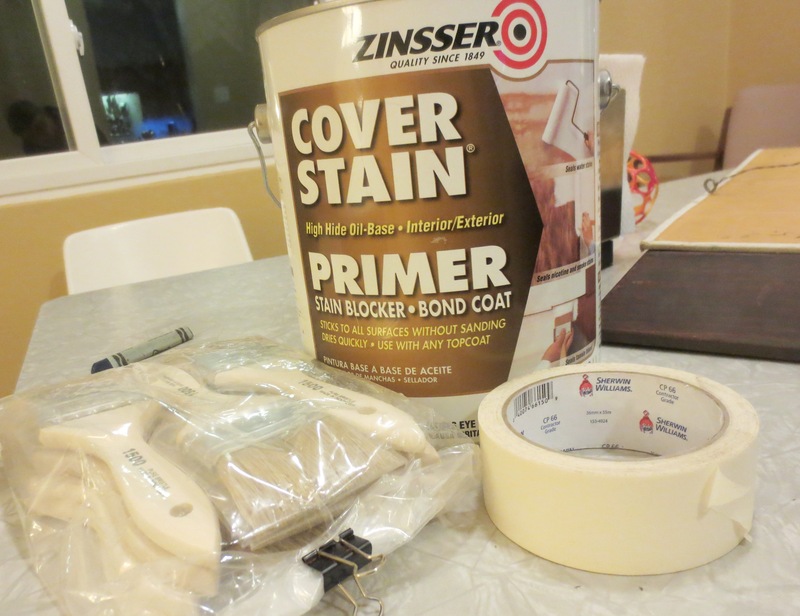 STEP 3): Crack open your oil-based primer and change your shirt, cause this stuff doesn’t wash out. I usually just take off whatever I’m wearing and turn it inside out. 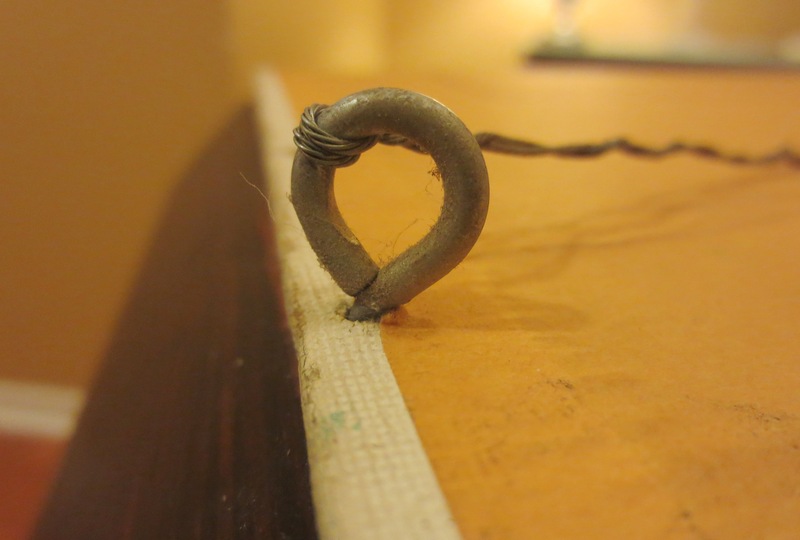 If you’re wearing a hoodie, consider tying the drawstrings behind your neck to avoid dipping them in paint. Grab one of the disposable brushes from the 20-pack I told you to buy in Post #7, and tug at the bristles to free any loose hairs. Give the frame one coat of primer. 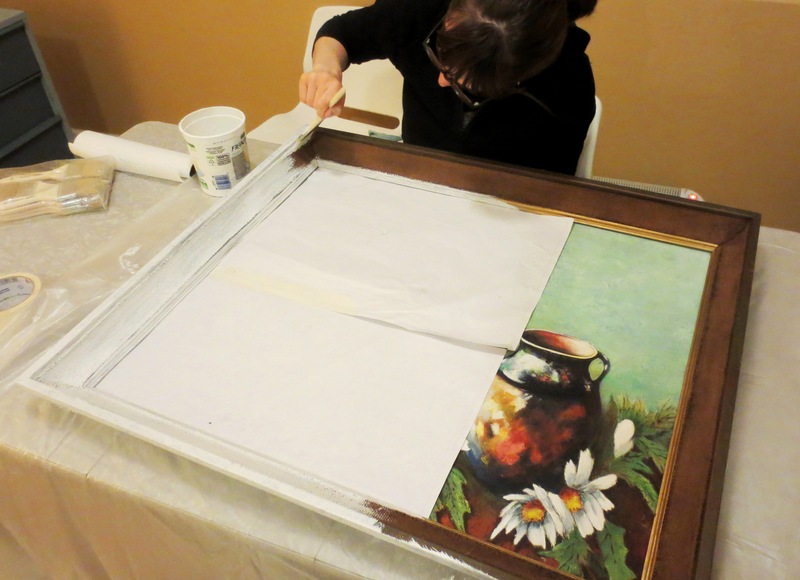 STEP 4): When the primer dries (2+ hours), give the frame a coat of latex paint. I quit after one coat, but if you are less lazy than me, go for seconds. STEP 5): Hang the art back up and think about how awesome your Grandpa was. If your Grandpa is still alive, go visit him right away. Unlike their art, Grandpas don’t last forever. That was a very sweet post. I love how the frame and art look when it’s painted white. I’m glad you got to have your Grandpa around as long as you did. It sounds like you guys had a lot of fun together. This is wonderful! Treasure that art (outsider or not – it is the real deal). How fortunate you were to be able to spend time with him and his art. My granddaddy painted a picture of a naked woman on a swing over a lake. Off to the side were two fishermen falling out of their boat. Now I’m looking for the perfect spot to hang it. Hi! I just started following yesterday. I love outsider art! In fact, I did my senior project in college on Henry Darger. Your Grandpa’s work is wonderful! I dearly loved my grandpa too. He did not paint but used to live in the MI upper peninsula. I have a distorted lump of copper ore that looks very much like a turd that used to belong to him. Turd or not, I treasure it. Love this. I’m now happily down the long, twisted memory hole of Grandpa Phil. Lots of popsicle built dollhouses there. My grandpa’s medium was words, sketches, and pictures. 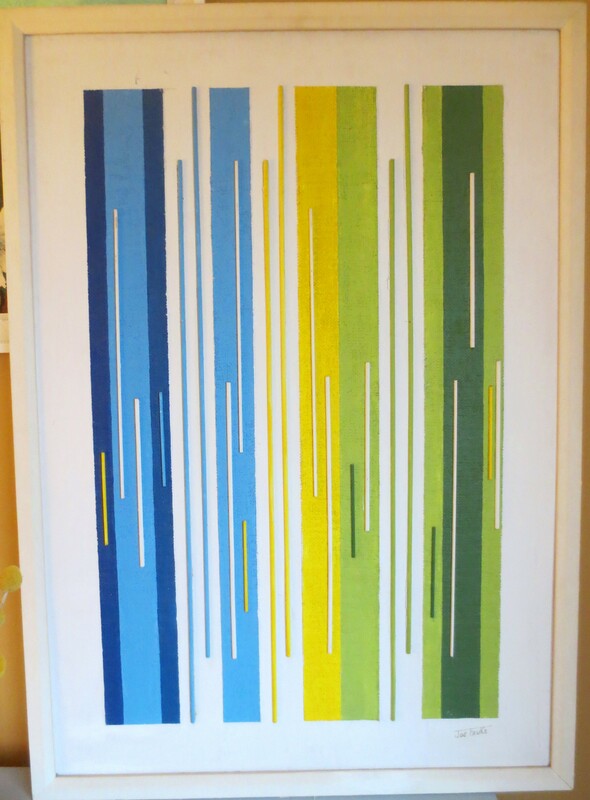 I’ve been lucky to get a few of his works, and in turn his dining room features one of mine. I love, love, love “resurrection.”. All your grandfather’s work is beautiful but resurrection just blew me away. 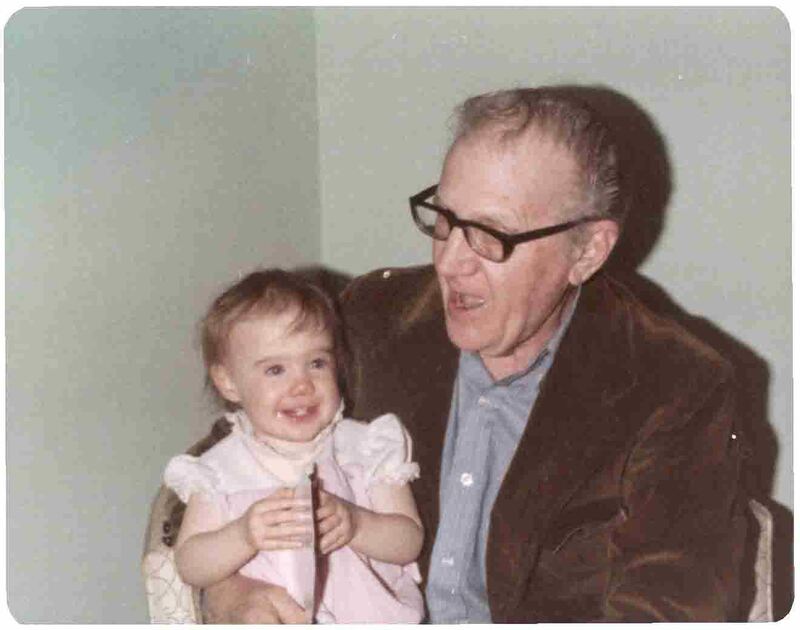 Your grandpa sounds like a cool guy – thanks for telling us a little bit about him. I particularly like ‘Abstract Highways’. It’s nice you have his art hanging in your home. Love this post! I inherited my great uncle’s folk art, which are carved wooden dogs. I was smiling when you mentioned finding a place for the art in your home because my collection is quite a comical group when placed together and I have yet to find a way to present them properly. Thank you for writing about this. I can identify with so many of your childhood memories here. Growing up surrounded by painters, crafters, designers, and furniture makers can be an intimidating thing. But I am blessed to have a house full of paintings by my grandmother and great-grandfather-in-law, quilts by my mother, furniture by my grandfather and great grandfather. Thanks for sharing.